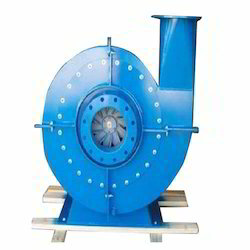 Impeller Size 10" X 10"
Product Description As a leading organization of the industry, we bring forth a quality approved assortment of Centrifugal double inlet blowers to our clients. Offered products are fabricated from the finest grade basic material by using progressive technology at well-equipped production unit. These products are quality approved by the quality auditors against the several quality parameters and norms. Moreover, we are providing these products at budget friendly prices. Being one of the renowned organizations in the industry, we are highly engaged in providing a unique range of Aluminum blower impeller. Offered blade is precisely manufactured at our manufacturing unit by our qualified professionals using the optimum grade components and ultra modern technology. The provided blade is highly appreciated by our valuable clients for its long service life and less maintenance features. Further, in order to avoid any flaws, this blade is rigorously tested by our experienced quality experts against various stages of quality parameters. 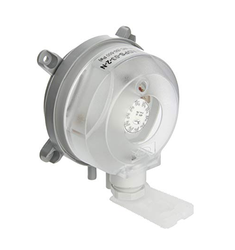 Product Description With our significant set of work principles and up-to-date technology, we have been able to come up with an elite assortment of Furnace Fans & Impeller. Besides being designed from optimal-grade material and innovative technology, the offered impellers are inspected properly by our quality inspectors. 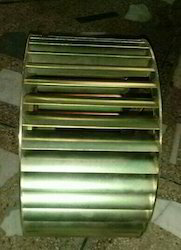 Impeller for Air Curtain for our valued clients. 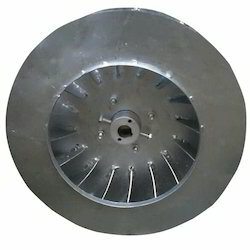 As the name suggests, these impellers are fabricated using high-grade aluminum and other basic material. We design and develop these products using advanced technology in compliance with the emerging requirements of our valued clients. Three Riveted Blowers We are providing our clients with an impeccable range of G.I Double Inlet Impellers. Manufactured using aluminum, these impellers are provided with a ring welded on their blade tip. These offered impellers are precisely designed through an effective production methodology in line with the clients' requirements and industry laid parameters. Single Inlet Impeller SISW castings offered by us are available in standard as well as custom ordered configurations.These are made of special aluminum alloy casting and are designed to provide uniform airflow and maximum efficiency. Our modern designs also focus on minimum power consumption and machine durability. The aluminum castings offered by us are at par with international quality standards yet very economical. 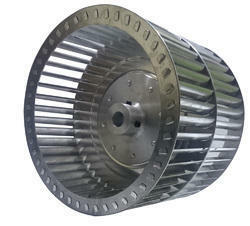 Centrifugal single inlet blowers wheel Centrifugal single inlet blowers wheel Are Used For Use In Condensers, Small Appliances And Furnaces. 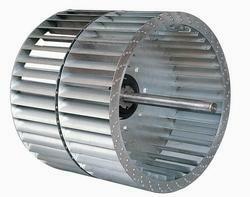 Centrifugal single inlet blowers wheel are made of galvanized steel for long lasting durability and strength. 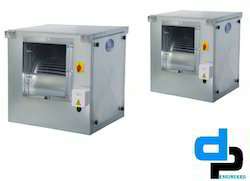 Single inlet design moves forced air heated, cooled or ambient temperature to specific spot areas. Diameters vary from 3-5/16 in. to 26-1/4 in.. Widths vary from 1 in. to 21-3/16 in.. Rotations are Clockwise, Counterclockwise and Both. 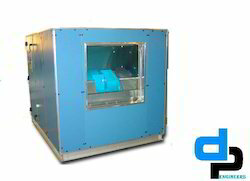 RPMs and overall specifications vary per model. 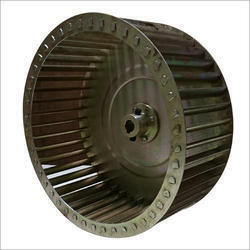 Product Description As a leading organization of the industry, we bring forth a quality approved assortment of Centrifugal Fan Wheel to our clients. Offered products are fabricated from the finest grade basic material by using progressive technology at well-equipped production unit. These products are quality approved by the quality auditors against the several quality parameters and norms. Moreover, we are providing these products at budget friendly prices. 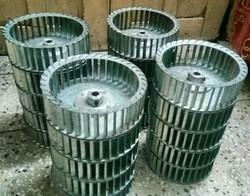 Product DescriptionWe are manufacturer of Galvanized Steel Blower Wheel. All the components and materials used in construction and assembly are of the highest quality to ensure many years of reliable operation. Galvanized Steel Blower Wheel are suitable for large quantities of air at low pressures while producing very little noise. Galvanized Steel Blower Wheels Are Used For Use In Condensers, Draft Boosters, Flue Exhaust, Small Appliances And Furnaces. Galvanized Steel Blower Wheels are made using corrosion and rust resistant galvanized steel for long lasting durability. Choose between Clockwise or Counter-clockwise rotation. Sold in package quantities of 2, 3 or 4. Dimensions vary per model. Our aluminum blower wheels are made of Aluminum is the highest strength alloy of the more common non heat-treatable grades. Fatigue strength is higher than most aluminum alloys. In addition, this grade has particularly good resistance to marine atmosphere and salt water corrosion. It has excellent workability. 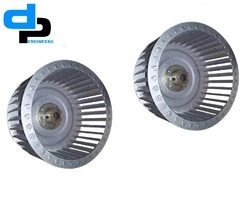 It may be drawn or formed into intricate shapes and its slightly greater strength in the annealed condition minimizes tearing Applications: Used in a wide variety of applications from aircraft components to home appliances, marine and transportation industry parts, heavy duty cooking utensils and equipment for bulk processing of food. 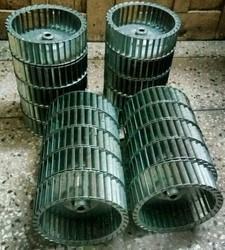 Product DescriptionWe are manufacturer of Blower Wheel. All the components and materials used in construction and assembly are of the highest quality to ensure many years of reliable operation. 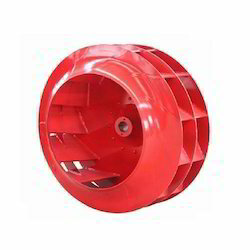 Blower Wheel are suitable for large quantities of air at low pressures while producing very little noise. 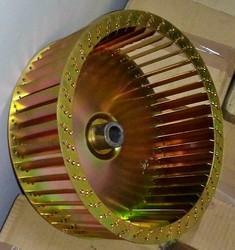 Product DescriptionWith our significant set of work principles and up-to-date technology, we have been able to come up with an elite assortment of Furnace Fans & Impeller. Besides being designed from optimal-grade material and innovative technology, the offered impellers are inspected properly by our quality inspectors. 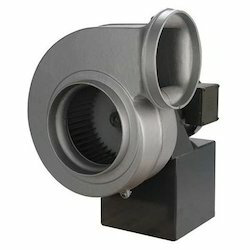 Product DescriptionWe are one of the reputed organization engaged in offering superior quality Belt Drive Blower Wheel. 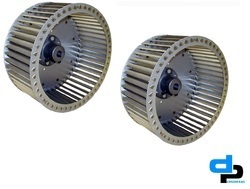 These Blower Wheels are appreciated by a large number of clients due to high quality. These products are available in market at most competitive rates. 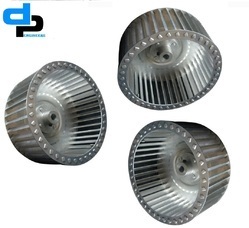 With our rich industry experience in this domain, we are introducing a comprehensive assortment of ID Fan Impeller that is available in different sizes. These impellers are manufactured using quality assured raw material under the strict supervision of our qualified professionals. Manufactured as per the requirements of our clients, offered range is tested on diverse parameters to ensure its durability and optimum quality. M.S. Riveted Industrial Impeller - D.P.ENGINEERS We have marked a distinct and rich position in the market by providing a high quality assortment of M.S. Riveted Industrial Impeller .This riveted impeller is developed with the help of finest quality material and latest technology in fulfillment to set industrial standards. 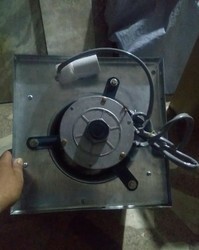 Offered riveted impeller is used for providing uniform air flow. The offered riveted impeller is known for their features like low noise, corrosion resistance, high durability, sturdy in construction and high performance. 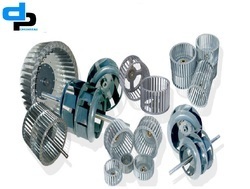 To meet the diversified requirements of our valuable clients, we bring forth a wide range of Double Inlet Impeller. 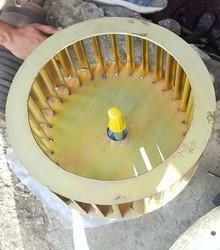 This impeller is a rotor inside a tube that is used to increase or decrease the pressure and flow of a fluid. Manufactured by our highly skilled professionals, using the best grade raw material and latest technology. To meet the diversified requirements of our prestigious clients, we are engaged in offering Cross Flow Impellers. The offered cross flow impeller is manufactured with the help of high class material and sophisticated technology in accordance with the norms of industry. 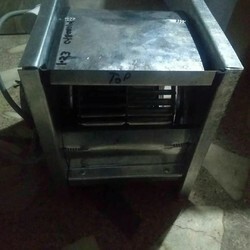 This cross flow impeller is widely used in microwave, ovens, fireplace, heater, air cleaner, dishwashers, and air curtains and so on. 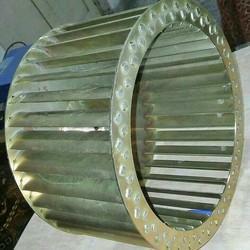 Our offered cross flow impeller is available in various specifications as per customer’s requisites. 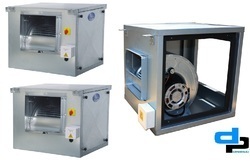 We are the renowned manufacturer and supplier of enhanced quality Metal Frame Filters. Designed and developed in compliance with international quality standards using high grade component, it is widely used in various industries to retain particles ranging from 1 micron to 50 microns. 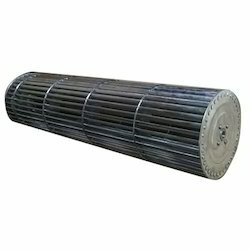 Our range of filters is known for its some salient features like durability and high strength. We offer this filter in bulk quantities to our renowned clients at pocket friendly price. 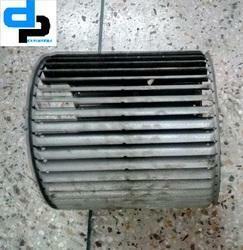 Direct Driven Blower 8" X 6 "
Looking for Industrial Impeller Manufactures From Delhi ?